When Scrapbookers Bubble Bath started a year ago our vision was to create a web site that was a relaxing and inspiring resource for faithbooking. I wanted SBB to be a place for Christian scrapbookers to visit to be encouraged to leave a legacy through their albums. I dream of helping others believe, as much as I do, that our albums can be tools to bless and bring our family to a deeper relationship with Christ ~ making an eternal impact. Over the last year, the driving force behind anything we have done, created or encouraged has been that one single vision of making an eternal impact. And, as we face the next year, my eyes continue to be set on Jesus, and, doing anything I can to help others catch this vision and passion I believe the Lord has set in my heart. In trying to meet many needs, in addition to Scrapbookers Bubble Bath, SBB has two sites that have become arms of outreach, this Faithbooking Inspirations and Held By Him. However, as defined in the name, we are reaching for relaxing and enjoyable inspiration, not just "another site to check or email to read". So, in hearing from some of you, I have pursued various avenues in providing an easy way to combine the two sites, and notify you when new posts have been created. As a result, I have chosen to create SBB Inspirations Yahoo Group. Through this email, you will receive the words or link to the newest entry for both sites directly in your mailbox. This format provides an easy way for you to share the emails of inspiration with your friends - you can just hit "forward"
To join, all you have to do is enter your email address in the white box below and click join ~ how easy is that? I am excited about this, and pray it gives you one less thing you have to check, and continues to inspire you to leave a legacy Unto All Generations! Wow ~ I just renewed Scrapbookers Bubble Bath's domain name ~ that means that the name and idea for SBB is one year old! So, Happy Birthday to a dream that has become a reality, a vision that is making an eternal impact, and a website that has become a beautiful and humbling blessing! Over the last couple of days, as I have revisited moments of the last year in my memory, I have been humbled and brought to my knees to see how the Lord has worked, in even at times the oddest of situations, to bring SBB to my life. And, as I look forward to the next year, and, prayerfully many years, I have plans for SBB that only He could dream and have the power to come true. In my next post, I will show where we have been and where I pray we will go. But, first, I believe we have some celebrating to do! So, what better way than to bring together the pages that have been created and the lives that have been touched ~ Hence, Scrapbookers Bubble Bath's First Annual Leaving the Legacy Celebration! Now, I know for a fact there have been many legacybooking pages created - I have heard the stories and been touched by your words of those using Unto All Generations ~ BUT, I have only seen a few of the completed masterpieces. And, knowing that we are all so stinking busy that we need a bribe, I mean incentive, :) to take the time to get our pages copied and shared, we will be offering prizes to the top 2 entries. 1st prize ~ Will recieve one new Scripture Picture Service free, and the next Unto All Generations release, Leaving the Legacy ~ Inspirations for creating pages of legacy. 2nd prize ~ Will receive the next Unto All Generations release, Leaving the Legacy ~ Inspirations for creating pages of legacy. It is highly suggested you create a digital file of your page ~ this is done easiest by getting the page color copied (12 x 12 sized to an 8 1/2 x 8 1/2 page) at a office supply or photo shop then scanning in the picture, or, taking the page to a store with a large scanner and scanning in your page. You may send a digital picture of the page, just be sure the quality does your work justice. I am very excited to see the pages that have been created and share the stories of the lives that have been touched! So, pick your favorite(s) page of legacy, and help inspire others to create pages of eternal impact! We have just released the Scripture Picture Service. I am very excited about this new product. 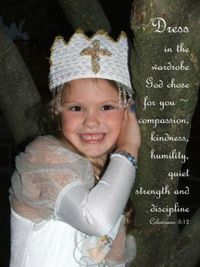 By adding scripture or words of love or celebration, a special photo to you becomes a customized keepsake. The options are endless. The potential impact these special pictures could have may truly be eternal. Give these as gifts for newlyweds or newborns. Celebrate a special day such as graduation or moment such as first steps. Create a reminder to a loved one that God's love is everlasting. Create one for the front of a scrapbook album, birth announcement or special gift. See, told you the potential for this is endless!! And, while these customized pictures will be $14.95, we thought we would offer them at a special introductory price of $6.95 for a very short time ~ so, find that special photo, choose a scripture or perfect words of love, and, see how amazing these can be!!! One quick encouraging note ~ once created, the Scripture Picture is digital and, is yours, so, you can print it as many times as you would like! Check out the Scripture Picture page for more samples and more information. Remember as a kid loving parties? And, have you ever stopped to realize that as adults we don't have parties enough? I realized that this weekend as we were visiting some very dear friends - and, thought I'd pass some inspiration and fun for life, refreshed by 2 little girls, as a great legacy moment and page idea. Last fall, my kids wanted to have a party for their dad "because he works so hard". I let them plan the whole thing from the food to the decorations, all the way down to wrapping poor daddy in toilet paper before he was allowed to see the set-up in the dining room :) Again - those pictures from that day represent such precious memories and moments that my children will cherish. Does a party require a birthday, Christmas or special occasion? Can't we have a "It's Tuesday Party" or "We Saw A Bluebird Bash", or "We Love Daddy Cause He Works So Hard Celebration"? Why, of course - and, what awesome pages those pictures would make!! Other Party ideas ~ Celebrate a day of the week; the weather; a favorite food, animal, commercial or sport; a test grade; a lesson learned; everyone's home; a "clean house" - I know, yeah right :) The possibilities are endless - The idea is to celebrate life together as a family and preserve those moments - just look at your day and be inspired! So, let you kids plan their own bash - You don't have to spend any extra money - half the fun is being creative with what they can find around the house. So, party on, and, be sure to share your ideas here and with others to inspire them as we, like children, find the simple reasons in life to celebrate! As I made dinner last week, I listened to the happenings, words, and conversation going on in the family room between my boys. The statements were so funny, I grabbed a pencil and just started writing them down. Let’s see, besides discovering Barbie has plastic underwear, they started in on playful name calling with “Bucktooth Beaver”, “Well, at least I have all 24 teeth” and “I bet you could chop a tree with your tooth”. Then of course, being boys, there was the typical “Fire in the Hole!”, and “I see your underwear”. When the wrestling started, I called in my ‘mom voice’ - “no wrestling”, receiving a chorus of “Aw mom, but, we are just getting started”. Why share these? It occurred to me, these noises of laughter, wrestling, and conversations are the things that make my life mine. They are the everyday precious words and moments that we will forget. Yet, they are such a part of who we are. As I go back and read everything, I have to laugh and, praise the Lord for His goodness and simple blessings. Such simple, yet treasured moments. So, I challenge you to grab a pencil and a pad of paper. Put them in a very visible and easily accessible place, and, just start writing. Even just keep track for a couple of days. The dentist appointments, new words, and daily questions are as much a part of our legacy as the birthday and wedding pictures. Make a page of the words scattered or listed, typed or written, funny or mundane. That page will be as treasured as the others, maybe even more! As a web-site and business owner, I spend much time and effort trying to design Scrapbookers Bubble Bath so it will rank high on key search words to draw customers looking for Faithbooking, Christian Scrapbooking and Scrapbooking Scriptures. So, I must share something very funny. Many poor souls have come to this site searching for the "Steeler's Emblem" through google. Would you believe, this site is #1 on that search?!!! - too funny. It is due to the "Precious Paper" entry below. So, for you die hard Steeler's fans searching for your team's logo, here is the link to find all of the Steeler's Emblems or Logos your heart may desire. So, as the day approaches, I am wondering if you or your family have 'pre-game' rituals, superstitions or traditions for football, baseball, or any sport? Do you have a lucky shirt? Is there a certain hand you hold the remote in or a way you wear your hat when your team is on offense? How did these traditions start? Why do you do them? Do they really work? How do you know? Who do you do them with?